In September, I self-published my first children’s picture book. It’s been very well-received with all 5-star reviews on Amazon, more sales than I assumed I would get, invitations to school readings, and readers asking for signed copies. It’s been an amazing experience that went far beyond what I expected. I created this book out of curiosity, love, and passion, and it’s been extremely fulfilling to see children and their parents enjoying it. Within two weeks of that book was published, I began working on my next book. I saw this ability to begin immediately on the next book as an advantage of self-publishing. I didn’t have to sit on my one book and go on a big publicity push for an entire year talking over and over about it. I have so many ideas for so many books, and don’t want to spend an entire year just pushing the last book I made, I want to move on make an even better book. This new book I began working on was also going to be the first book fully documented live on Might Could Beta Books. I aimed to share the whole book making process with the Beta Books members from start to finish, with a weekly progress update every Friday reporting what I had done that week, and the work I had accomplished. And now, I have a public confession: I have been struggling with this new book. The entire time. I originally started this book a few years ago, and took it all the way to the dummy (aka: mock-up) stage before shelving it while I worked on other things. When I started working on it again a couple months ago, I came in with the expectation that this book was already strong and close to finished, and I just needed to put in a month-or-so’s worth of work to clean it up and ship it out in time for the Christmas rush, hot off the tail of my previous book. They say the best marketing for a book is a new book, so I better hurry it up and get this next one out there, right? I was so very, terribly, horribly wrong. After two months of rewriting, re-storyboarding, re-drawing, and re-painting, the book was boring and bland and weak and I knew it. The idea was so good, but the book itself was so bad. But no matter what I did, it just never felt right. Nothing was clicking into place. I kept thinking I was having breakthroughs, but then I would come back to work on it after a few days and not like it at all. I wasn’t drawn to the story, I wasn’t invested in it, and it didn’t feel like I was creating something worth loving. I didn’t feel like the book was MY book. Over the Thanksgiving holiday, I took a break from working on the book. I didn’t post my normal weekly progress update in Might Could Beta Books. I considered throwing the whole book away, ripping up the artwork and setting it all on fire as a form of catharsis. Or at least putting it on hold for a while and just starting a new book instead. Sometimes quitting is the right thing to do, right? But even that felt wrong. Continuing to work on it felt wrong, and quitting felt wrong. Everything felt so wrong. How could everything about this book feel so wrong, when everything about my first book felt so right? How could I ever make a book I liked and was as proud of as much as that one? With every wrong turn I took, with every frustrated Beta Books progress post I made, I felt like I was failing because my expectations were being rocked, my assumptions were wrong, and my deadline was most definitely not going to be met. That’s when it occurred to me that Might Could Beta Books might be part of the problem. I began thinking not only of quitting my book, but also quitting Might Could Beta Books. I thought about shutting the whole thing down and giving up. But then I realized it wasn’t the actual system that was holding me back, it was the way I was approaching it. And it wasn’t the actual book idea that was so wrong, it was the way I was approaching it. I was approaching this book with a business point of view. I thought the creative part was already done, and I just had to churn it out and release it into the world as a finished book, a finished product. And that was the problem—from the moment I started working on this book in October, I was starting with the end product in mind. I was trying to imagine the entire finished book from the get-go and assuming that I was close to it. But that’s not how creativity works. After months of struggling and wallowing, I finally realized my mistakes. I needed to be approaching this book fresh. I was coming at it with too much baggage—a hard timeline, big expectations, and huge assumptions. That approach left me with a closed mindset that prevented me from making mistakes and following loose ends to find the core of the story. I assumed I already knew the core of the story, but I didn’t at all. I wasn’t allowing myself to truly explore the potential of this book idea because I wasn’t seeing it as an IDEA, I was seeing it as a BOOK, as a PRODUCT. A finished product that I had on track to be released and published by Christmas just in time for all those open wallets and flowing holiday cash. And with that realization, an instantaneous shift happened. I felt my body unclench. I felt my mind relax. In that moment, I felt myself let go of the expectations of what this book would be. I gave up on my Christmas deadline, and I decided to spend as long as I needed to on this book, no matter how long. I decided I wasn’t going to rush to publish this book because that meant putting out a piece of work I wasn’t proud of. And more than dollars and good reviews, I just want to make work I’m proud of and work that feels like me. Because his is isn’t about the final product. It’s about the process—and I had lost sight of that. I was so excited about how well We Are Fungi was received, and so concerned about sharing my work updates every week with the Might Could Beta Books members, that I was only focused on PROGRESS and not PROCESS. But the creative process doesn’t always move forward in a steady steps of forward progress. 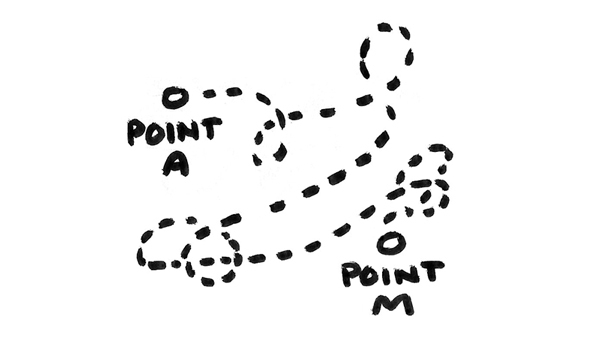 It’s not a straight line from point A to point B.
It’s more often a bunch of round-about, makes-no-sense, loop-de-loops that probably won’t even get you to point B, but instead will drop you off at point M that you weren’t even aware was a option when you began. If you approach the creative process with the end in mind—with point B as your goal and a set timeline to get there—you’re cutting your potential short. You’ll just get to and stop at the boring and generic point B that anybody could have gotten to. 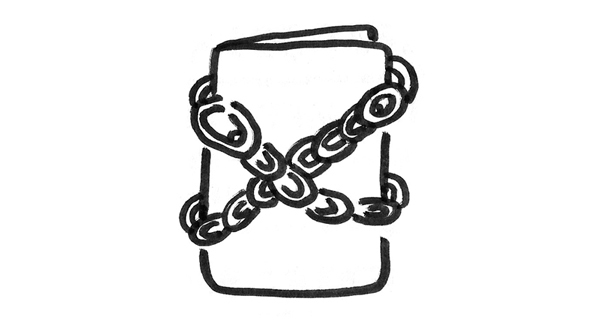 You’ll end up creating a lazy, unoriginal, soon-forgotten book that anybody could have made. You won’t have made your book. And that’s exactly what I was doing. I had created a bland book with a forgettable ending and lackluster art that didn’t feel like me. But there is a way out, a way to push through. If you approach the creative process with an open mind, and allow the process to carry you where IT wants, not where YOU want, if you stop shouting and wallowing and demanding, and starting relaxing and listening and allow the book to whisper to you and allow the story to reveal itself to you… that is when creativity happens. That is when your art is found. And damn it if that isn’t the best feeling in the world. I was working so hard on this book, putting in hours and hours, going in circles with my nose to the ground and my head in my hands, that I wasn’t taking the time to play. I wasn’t taking the time to absorb all the inspiration around me, or allowing myself to get in the experimental, open state of mind you have to be to tap into your imagination and create something truly original. I needed a break. So I took some time off. I didn’t post a progress update in Beta Books last week, and I didn’t touch or think about the book at all. I wasn’t sure when I would come back to it. I focused on drawing in my sketchbook, reading, absorbing, and relaxing. So I gave in, and I began to write. I was quiet and I listened, and I wrote down the other words that came to me. I dropped my expectations of what the story was, dropped my assumptions of what the book would be, and let go of the hours and hours and months and months of work I had already labored over, and I wrote the story, Goodnight, Monkey. And that’s where I am now. This new manuscript is not perfect, I know. It’s not final, and I’ve still got lots of work to do. But these words all poured out of me in a quiet fit of inspiration, one after another all the way until the last line, as they were all inevitable. As if this was the only way the story could go, as if this was the only thing the story could be. The words fit themselves perfectly in the 32 page format, and the story wrapped itself up with a final line that when I typed it almost made me cry, it felt so right. I know that feeling from working on We Are Fungi. It feels ridiculous when it happens. I just wrote a sentence in a children’s book story, and I’ve got the huge head and big ego to go crying at my own story? But that emotion doesn’t come from feeling perfection, and I certainly don’t believe I just wrote anywhere close to the best line in the history of picture books. That emotion comes from the feeling that you’ve found the story. You’ve been searching for so long, and struggling for so long, and you finally let your guard down, you let yourself become vulnerable, you stop trying to force something to be made, and instead you allow yourself to be open to something new, allow something from outside yourself to come in and show you what you’ve been missing. And when that happens, when you make that discovery, it’s unlike any other feeling in the world. And it makes me want to cry. In an effort to keep up my relaxed, open, playful mindset, I’m going to be taking the rest of the year off from working on this book, posting in Might Could Beta Books, and writing these resources. I’m going to take this time to focus on exploring and playing in my sketchbook and reading, absorbing, and relaxing as much as I can. 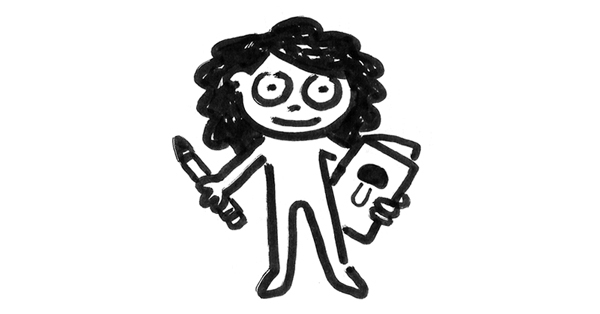 I’ll still be active with the students in my courses, and I’ll still be sharing sketchbook drawings on social media. During this time, I’m also going to do some deep thinking about the Might Could Beta Books group. I think overall it’s been a wonderful experience for me to share my personal creative journey, and I think without that outlet, I may not have had all these realizations and I may not have changed my mindset as quickly. I may not have finished the book at all, and thrown it away instead. So thank you to the Beta Books members for being there and for listening, for offering feedback and support. It means so much to me. I have a lot of unorganized thoughts about how I can improve this program for both current members, future members, and myself. One thing I’d like to do is add a section of book making videos/tutorials more like an full course. I know my week to week process is probably hard to follow sometimes because the creative process itself is hard to follow sometimes. It might be helpful to have some kind of general guideline mapped out that you could use as a starting point for your own creative journeys. I also think my set schedule of posting weekly is part of what got me into the fatal “final product mindset” instead of an experimental mindset, so I need to revisit that for my own sake. Perhaps only posting when I have a big update might work better, and not forcing myself to post every Friday would help me be more relaxed in the process. But I also want to be sure members are satisfied and happy. Positioning Beta Books as an addition to a full course, instead of it’s own solo thing might could work. I’m going to use this month to organize all these thoughts and make some big changes to the group that I hope to announce in January. Thank you again to all of you for following my journey, and for your support and encouragement! You all mean so much to me, and all your emails and comments really keep me going. I won’t be emailing a new resource until next year, but feel free to reply to this email or reach out directly if you have any comments or questions. And definitely comment below or email me to let me know if you have any suggestions or feedback about Might Could Beta Books—how it could be improved if you’re a member, or what you would be looking for as a prospective member interested in making your own books. I hope you have a wonderful, relaxing holiday and lovely, happy new year, and I’ll see you bright, early, and bushy-tailed with my creative juices recharged and my mindset open and exploratory, ready to enjoy and embrace 2018! Thank you for sharing and being so honest. I only recently started following your posts because I found your site when researching about writing/publishing my own book. You have very useful information and you are very insightful. I wish you luck and have fun creating!!! and besides that it’s always a fun and helpfull read! I am an Art director/ Illustrator myself and before i had a prof dance career. At the moment i’m still in a sort of transition year because i had to stop dancing. Unfortunatly a dance career is a short one. So at the moment i’m studying Art direction and writing and illustrating a book for children on the side and trying to figure out where my new direction in future is going. Just wanted to give you a heads up! Thank you for sharing your work and creative mind! I really appreciate it! I wish you a great holiday and goodluck with all the plans for the new year! I’ll keep on following and reading! Hi Boris! I’m great, thanks for writing! I’m so glad you made it over here from Skillshare and that you’re enjoying the posts! Everyone struggles with creativity issues, so you’re definitely not the only one! Wow, your background is so interesting! That’s great that you’re aiming to transition from dance into another creative career with art direction and illustration. It sounds like a great fit! I did something similar, transitioning from graphic design to illustration and book making. Wow, what an emotional rollercoaster! I am so glad you are coming to a place where you’re happy with the progress of the book instead of stressing over how it’s just not working because that sounds so demoraling and demotivating.